I always find the men in my life to be the hardest to buy for. They all seem to buy what they want, when they want and it leaves me stuck struggling for gift ideas. There are many Star Wars fans in my family and I am sure I am not the only one. 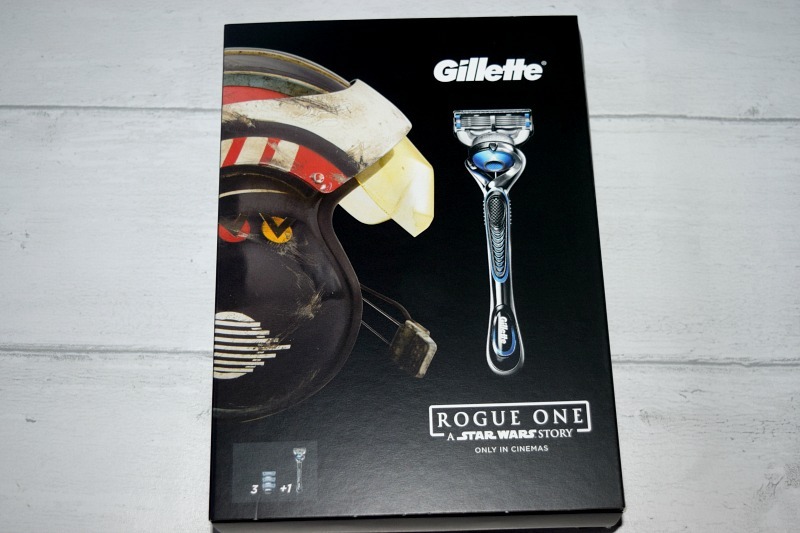 Gillette have released three awesome Star Wars gift sets, each with different contents and a different arty design. This one is celebrating 'Rogue One A Star Wars Story' which is out in cinemas this month. I am so excited to see the film! The gift set contains a Gillette razor and three spare blades. A great AND useful gift for any man this Christmas. The Star Wars sets are available from Boots and other major retailers. Mainline is a menswear store which sells high quality menswear. They have a huge list of around 85 designer brands and have plenty of great gifts available for men. 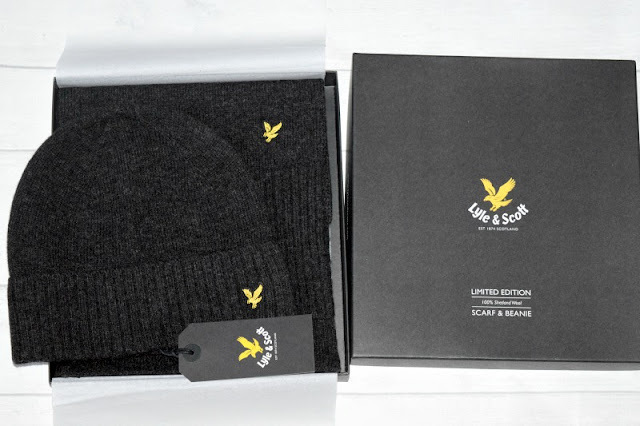 I love this limited edition Lyle & Scott scarf and beanie set which comes in a presentable box. It is lovely, thick, great quality wool which will last years. It would make a great Christmas gift for any guy especially in this horrible cold weather! Sweets are always a winner at Christmas for anyone with a sweet tooth. Haribo have some great Christmas products out this year including these Christmas crackers filled with starmix or fangtastics, these would be great stocking fillers. 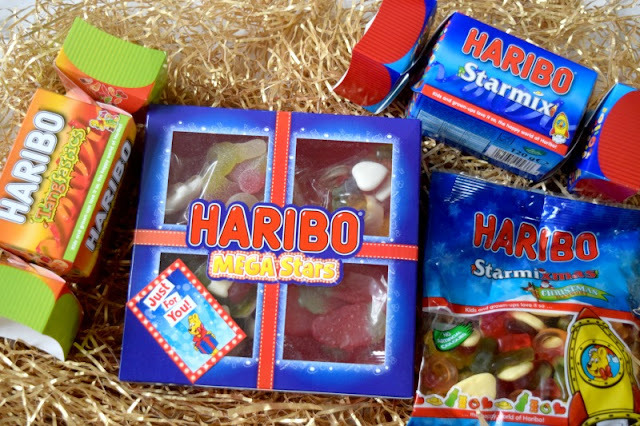 They also have this Haribo Mega Stars selection box with four separate bags of sweets inside including strawbs (my favourite! ), tangfastics, starmix and supermix. Also they have released a limited edition Christmas packet called Starmixmas, this limited edition bag contains the same pieces you usually find in starmix, except they have all had a Christmas flavour makeover with all new flavours including cherry trifle heart, gingerbread bears, eggnog eggs, apple strudel bottles and cherry and eggnog crumble rings. I have tried these already as they sounded so interesting and the only sweet I am not a fan of is the gingerbread bears, the rest are really nice! This Harry Potter Hogwarts Crest Light from Paladone is suitable for any Harry Potter fan. 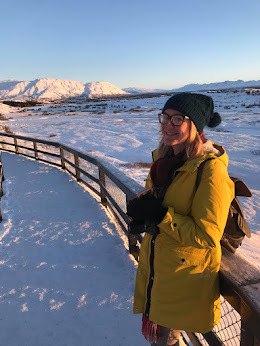 Male or female. It is really cool. I wasn't sure when I first saw it, It is a small box with a piece of plastic slotted in. I was certain it wouldn't look as good as the picture on the box. To actually light it up, you can use AA batteries or use the USB wire (included). I plugged the USB wire into a spare plug, as I never have spare batteries around, and it looks great! I feel like every Harry Potter fan should have one. It is the perfect brightness and looks great by the TV. 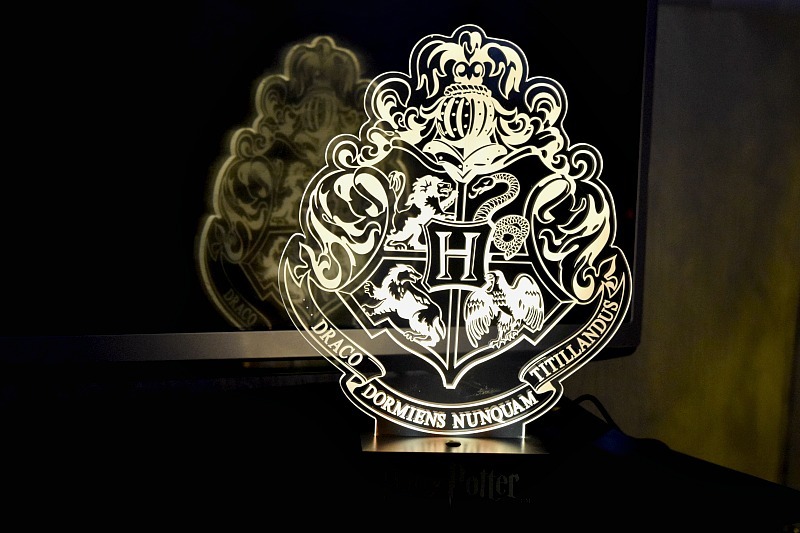 You can buy the Hogwarts Crest light here. Paladone is your go to for quirky or geeky gifts. I absolutely love their online store! Pens always make good stocking fillers for men. They clearly get as excited as women at new stationery. 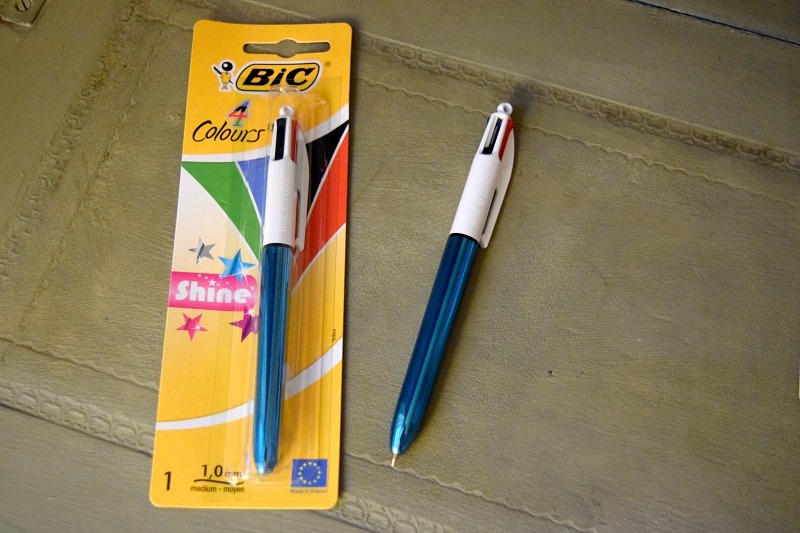 The BIC 4 colours shine is a pen with a metallic body which has 4 different colours retractable in a single ball pen. One of the best things about this pen is that it looks like your average pen when in use. You don't get a tiny flimsy metal tip like you do in so many multiple colour pens. Each tip is as thick as an average pen tip and just as sturdy. It contains blue, black, green and red colours and is even refillable. You can buy multipack of three from Amazon but they are also available in the stationery section in Tesco. 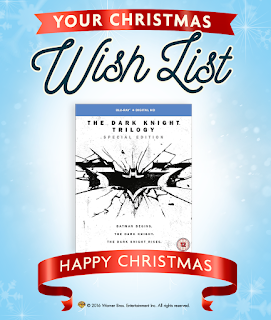 Batman is one of the most famous vigilante crime fighters, ever! The Dark Knight trilogy was praised by both fans and critics. My Dad introduced me to the original Batman films back when I was a child and it fuelled my love for superhero/vigilante films. I have seen The Dark Knight films myself and really enjoyed them. They are dark and full of fantastic villains including Heath Ledger's critically acclaimed Joker. 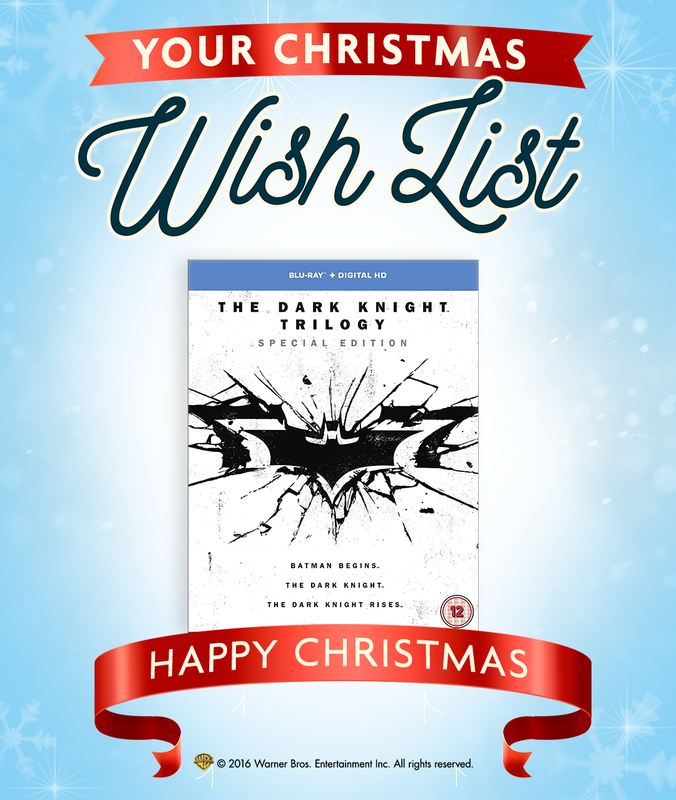 The special edition The Dark Knight trilogy Bu-Ray set would make a great Christmas gift for my Dad or Dad's just like him this Christmas. I hope some of these gift ideas have helped. Let us know in the comments or over on Facebook if you have any great gift ideas!